It’s been over six weeks since I left China and I know that the time has come for me to wrap up Inside the Middle Kingdom. It’s taken me a while to collect my last thoughts on this experience as if I need to get some sort of closure. I haven’t emotionally been in the right place to reflect on my departure as well as the culmination of my time in China- mostly because I have been living for the moment and focused on starting this new chapter in my life in New Zealand. Before the time away from China becomes more distant, here are (for now) some of my final thoughts. When I first met you, I was only 10 years old. The year was 1985 and I was a skinny, curious, naïve kid whose senses were stirred thanks in part to my strange first encounter with you. You yourself were just coming of age and slowly and cautiously opening your doors to the outside world. My family came over on a bus with other curious foreigners on a group visa for a day trip organized by a travel office in Macau. Until then, I knew very little of you other than its famous Great Wall or images of throngs of friendly people wearing grey Mao suits and blue caps on bicycles careening by the famous, larger than life portrait of Mao at Tiananmen Square in Beijing. Maybe I half imagined we were going to the Great Wall or to wave to those Tiananmen Square cyclists on our brief day trip. I did sense it was a very special opportunity, although I was a bit unsure of what to expect and probably had a mixture of nerves and excitement the night before. On that trip, we only got to see some glimpses of the world of ordinary people. We were shuffled along to the birthplace of Sun Yat Sen, the father of modern China and then to lunch in a restaurant I can only surmise was reserved for foreigners and important officials. I learned about the One Child Policy that day when our guide pointed out a large propaganda billboard extolling the virtues of the policy. At that time, there were no tall skyscrapers nor even a skyline, nor any large development and construction projects. Roads were very dusty and only partially paved, and no sidewalks, trees or stylish, glitzy shopping areas graced their sides. Transportation was limited to the odd bus, truck, tractor and bicycle (although I don’t recall seeing throngs of people on bicycles). My main delight and keenest memory of that day was visiting a village of one-level cement block homes. The street was relatively empty but suddenly a friendly woman in her 30’s or 40’s came out with a little girl of about 3. For the special occasion of the foreign visitors, the little girl has a red ribbon in her hair. The woman took delight in her daughter meeting my sister and me and the little girl bestowed us each with kisses on our hands. Whatever came off that village, the small girl and her mother- of course I will never know, but this brief encounter has always left a permanent impression on me. I imagine that skyscrapers now stand where that village once was, and the little girl with the red ribbon is now a successful businesswoman and mother. The ghosts of 1985 spend their days wandering the crowded streets looking for remnants of the past. 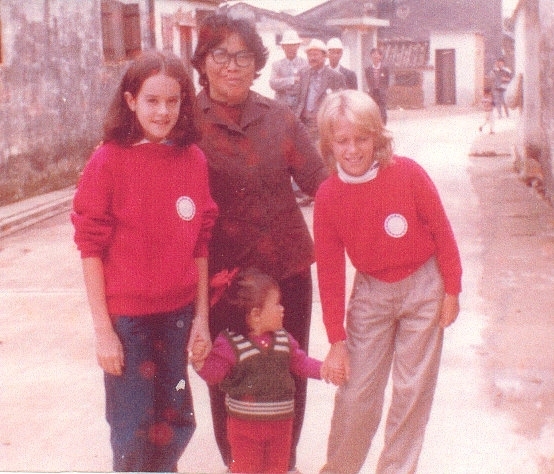 My first encounter with China in 1985 on a trip to Guandong Province. I didn’t return to you until 25 years later when I arrived in August 2010, bewildered but eager to start a new adventure. Even though I had already had an encounter with you, I was nervous again just as I was on that night before that first trip in 1985. I had different conceptions shaped by others. From a very talented, charismatic and knowledgeable 8th grade social studies teacher, I first learned about your over 4,000 year history, your dynasties, your geography and your complicated, often strained relationship with the outside world. It was also at that time that I along with the rest of the outside world tried to learn and understand what happened, what went wrong in June 1989. My next encounter with Chinese was favorable with my first contact with Chinese peers in 1993 when I went away to college. From them, I formed the notion that Chinese are hardworking, diligent and are under immense pressure to not settle for second best. From friends and former coworkers who had spent time living, working and studying there back in the 1990’s, I formed the notion that even then, you were still a wild-west frontier in which some venture capitalists started to dabble. Still in those early years, only a few adventurous people actually seemed to have the gumption or smarts to delve into your world. The excitement of the fall of the Soviet Union and the opening of Eastern Europe meant that many people, myself included, seemed to focus their attention on that part of the world for a while. When you were nominated for the Olympic Games for 2008, you came into the spotlight. Still, you remained a relative enigma to me and unfair opinions were formed by American statesmen and media that became alarmed with your new economic might and were also quick to point out your human rights abuses. So pre-arrival impressions of you in 2010 were very muddled and I knew that I would have to form my own impressions by having my own experience from within. I was and remain astounded with the transformations you have undergone in the 25-30 years since 1985. No longer shy and closed off to the rest of the world, you now have thousands of foreigners living, studying, enterprising, teaching and discovering their niche in your cities. No longer are you an unknown, wild frontier but a tame, booming conglomerate of metropolises offering both exoticism and the comforts of home. So often, there were days I might have even forgotten I lived in your world and I worried about you losing your own identity as you embraced the stores, trends, lifestyles, food, fashion, technology, entertainment and education of outside realms. But really you integrated these outside elements while maintaining your own principles, traditions and way of doing things. During my three and half years living in your world, I wasn’t immune to my occasional bouts of frustration with you. At times, I bemoaned how packed public places were, sighing, for example, with annoyance while squeezing into overcrowded busses or for there being a lack of taxis during rush hour. I cursed the inconsiderate driving habits and hierarchy of traffic in which pedestrians such as myself were left to fend for ourselves, hastily fleeing loudly honking, speeding cars in pedestrian crossings. 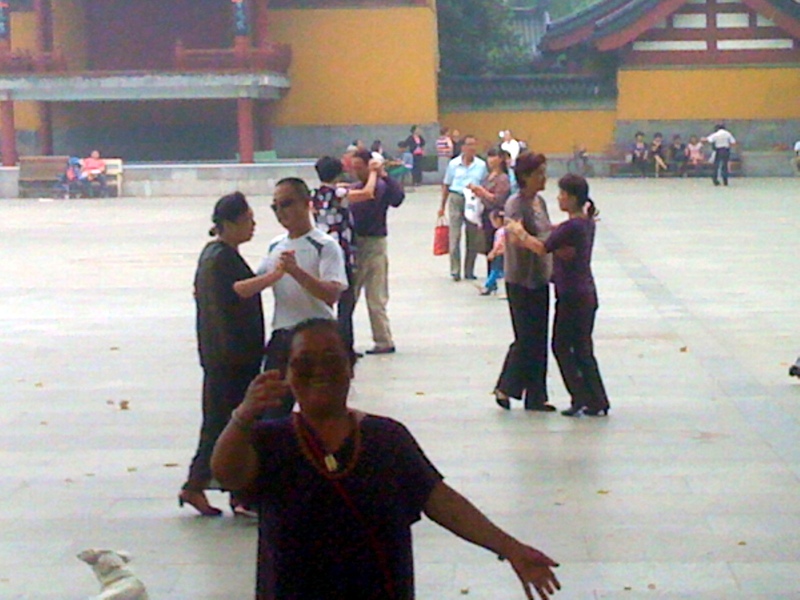 The disruption of early Sunday morning sleep by fireworks (on any given day of the year) or by elderly neighbors outside my window moving to the shrill commands and directions of their tai chi exercise recordings left me frequently grumbling and irritable. At times, I had my challenges with lack of notice and planning for holidays even by public institutions, throwing my arms up in defeat when learning about a holiday in the next week and then the subsequent sudden make-up day on a forthcoming Saturday. I grumbled over the difficulty in finding clothes, shoes and acceptance for women my size and shape in China. “Do Chinese women have no hips or butts?” I remember indignantly whining to the shopkeepers who wanted to comfort me but could only shrug their shoulders when nothing in my size could be found. And at times, I probably came off as an uppity feminist when I complained about the 1950’s role I perceived women, men and marriage to have. However, there were days I felt overwhelmed with emotion and gratitude for the experiences I encountered with you. Were it not for the opportunity to come teach in your world, I would never have become a confident educator. Scarred and doubtful of my abilities from previous teaching experiences, I found my comfort level in the classrooms at the university, where I was left to experiment with designing my own lessons, teaching methods and approaches while working with patient, mostly diligent, disciplined and eager students. I thrived in a setting in which education was embraced and educators were revered. The university teacher lifestyle provided me with the right work-life balance which allowed me to live comfortably free of stress and juggling too much. Living in your world also helped me learn more about patience (although still a work in progress) thanks to dealing with the frustrating situations above. I also started to learn that it’s pointless to worry about things that are out of your own control. But my fondest, most heartwarming memories of you will be my encounters with people. 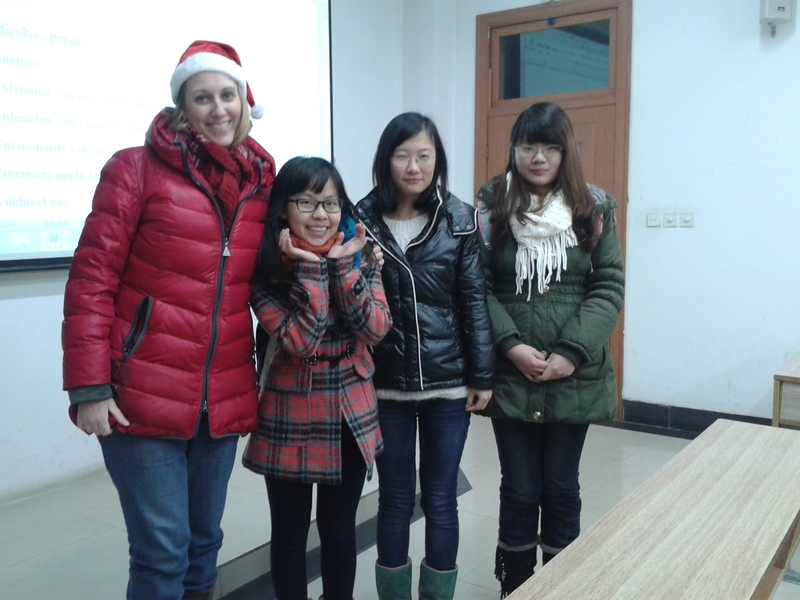 These included the community of other teachers; friendships with Chinese teachers and colleagues; the friendly interaction with neighbors, shopkeepers and people from the community around where I lived; as well as the random acts of kindness or ordinary actions of strangers. 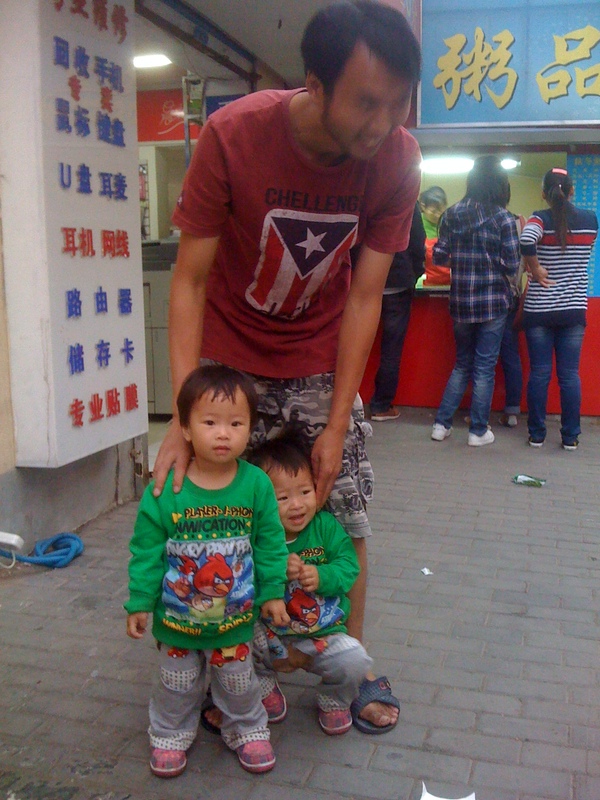 I never felt lonely during my time in China. As I’ve shared in my blog before, there were those ordinary moments I witnessed between human beings or of which I was a part that moved me. An hour in a park where I could witness people coming together to play music and sing ancient love songs would catch me unexpectedly choking back my tears and emotions. The exuberance and friendly tidings a stranger on the public bus who upon seeing me, proclaimed, “Welcome to China!” and proceeded to give up her seat. The familiarity and simple sociable banter that developed between me and the owner of the local copy shop or the local hairdresser; the husband and wife and their twin daughters; or a new friend my own age with whom I bonded over sharing our very different life circumstances. The steadfast and persistent nightly gatherings of neighbor ladies to exercise and dance on the tennis court in front of my apartment building. Even as the days shortened, the temperatures got colder, and their group got smaller, I would take comfort in their presence, their faint figures moving in the dark to the dim light from adjacent buildings. During my last weeks living in your world, I found myself nostalgic and reverting to the same wonder I found in you when I first arrived in a 2010. Knowing my time was coming to an end, I tried to soak up the everyday experiences or routines that had become a part of my life and that I would soon miss. 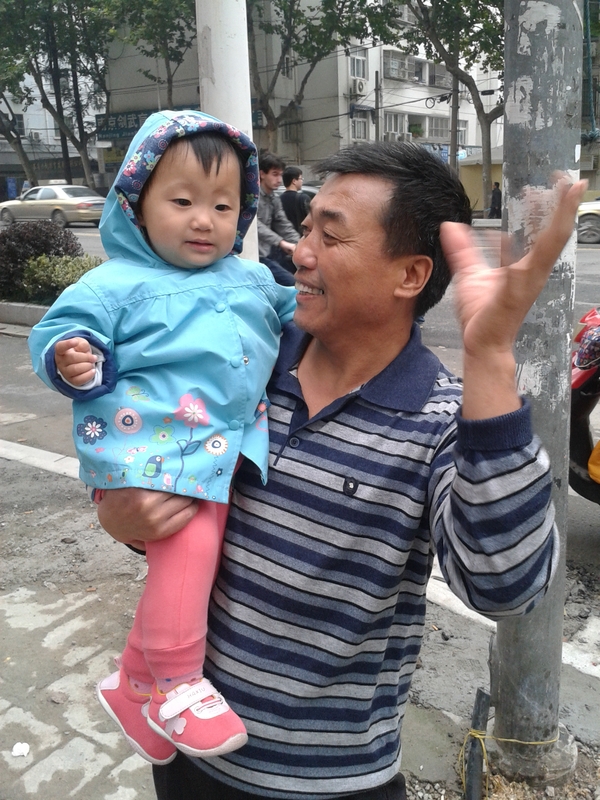 Eating jiao zi and guo tie in our favorite local dumpling shop, visiting my frequented stands in the cai shi chang (vegetable market), and enjoying the smiles and loving moments shared between parents and their little ones. Although I didn’t find myself fighting the tears on the day I departed, I realized it may have been because I wasn’t mourning an end to this meaningful, significant chapter in my life. Rather, I was continuing on my journey onto a new chapter in my life with feelings of contentment, confidence, ease and inner peace which I was only able to achieve thanks to my experiences in your world. So for now, I say 再见 (Zai Jian) but I’ll forever have a tie to you. I took joy in seeing the love between parents and their little ones- and the willingness of people to have me share in such moments. A friend and her husband with Nick and me. She and I met in my last few weeks. We were the same age and bonded over sharing our different life experiences. 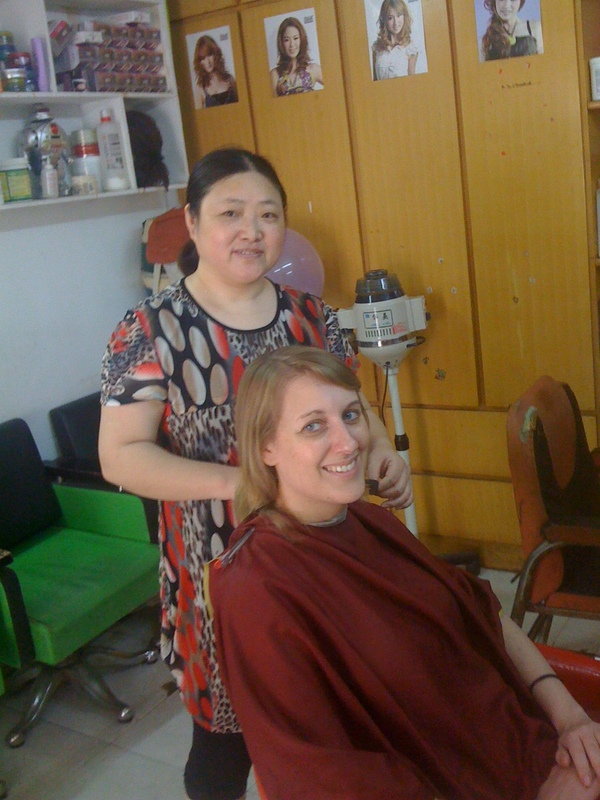 Getting my haircut by the local hairdresser. 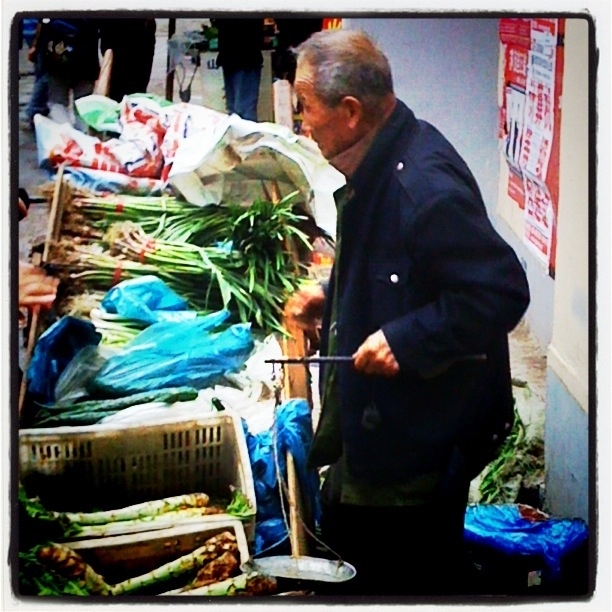 This vegetable seller was a comforting, constant presence in the neighborhood. I enjoyed seeing these little twins grow over time. 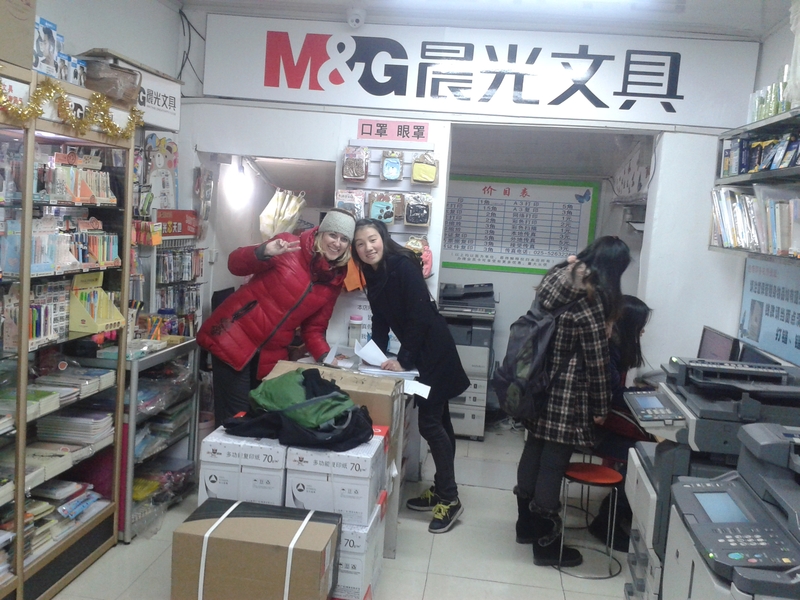 The local copy shop I frequented. I enjoyed interactions with the staff/ owner.